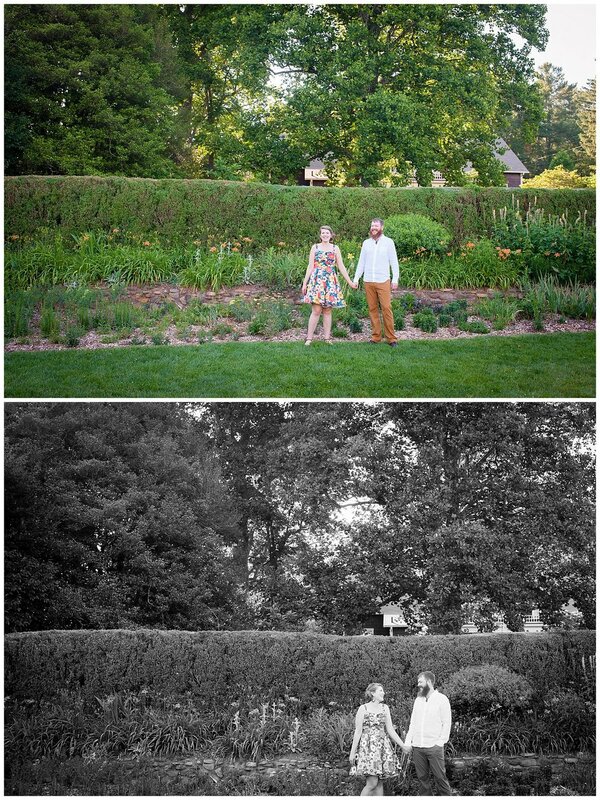 Kate and Chazz chose Warren Wilson College as the location for their engagement session. It was so fun exploring the beautiful campus with two graduates who knew all the great spots, the shortcuts between them, and spotted lots of fun memories along the way. I'm so thankful Kate and Chazz made time for a photo shoot during their wedding-planning visit to Asheville, and I'm really looking forward to their wedding this fall! XOXO and thanks for a wonderful day together!